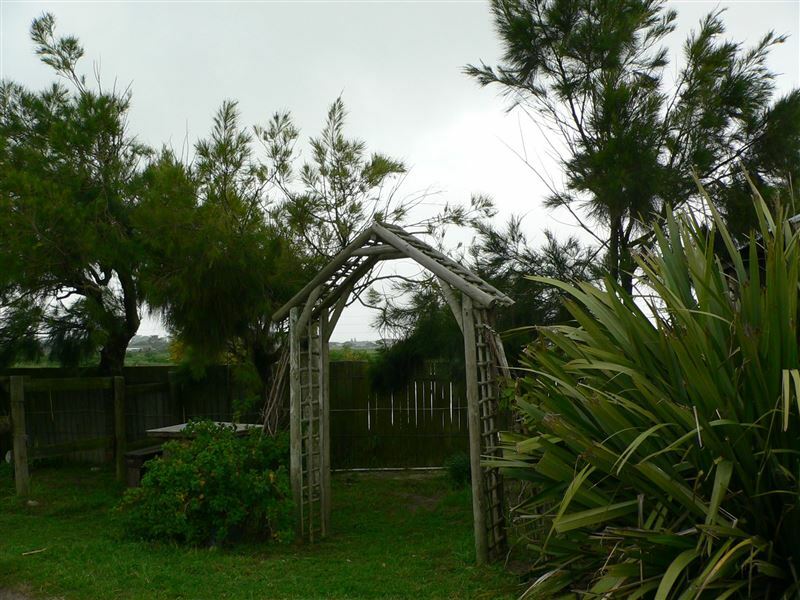 It is safe, secluded, peaceful and quiet but surprisingly central to Cape Town’s many attractions. It is truly the best of both worlds. The Royal Cape Golf Club and Zeekoevlei bird sanctuary (internationally famous) are within 10 minutes by car. Wynberg, Kenilworth, Plumstead and Muizenberg are 15 to 20 minutes away. The Waterfront and the City Bowl within 25 to 30 minutes. Stellenbosch, Paarl and the wine routes are within 40 minutes and the Cape Point Nature Reserve is some 60km away. There is a dam on the property and a boat (but with the current drought the dam is effectively empty). Birds often seen nesting or on and around the farm include Moorhens, Cormorants, Egyptian Geese, Crakes, Sacred Ibis, Hadedas, Cootes, Malakite Kingfisher, Dabchicks, Darters, Hammerkop, White Faced Ducks, Yellow Billed Ducks, Cattle & Little Egrets, Black-headed and Grey Herons and many more…. There is also a substantial community of endangered Western Leopard Toads. 	First level: There are 8 open-plan, single-roomed wooden cottages (which South Africans call Wendy Houses) sleeping 2 to 5 people each. 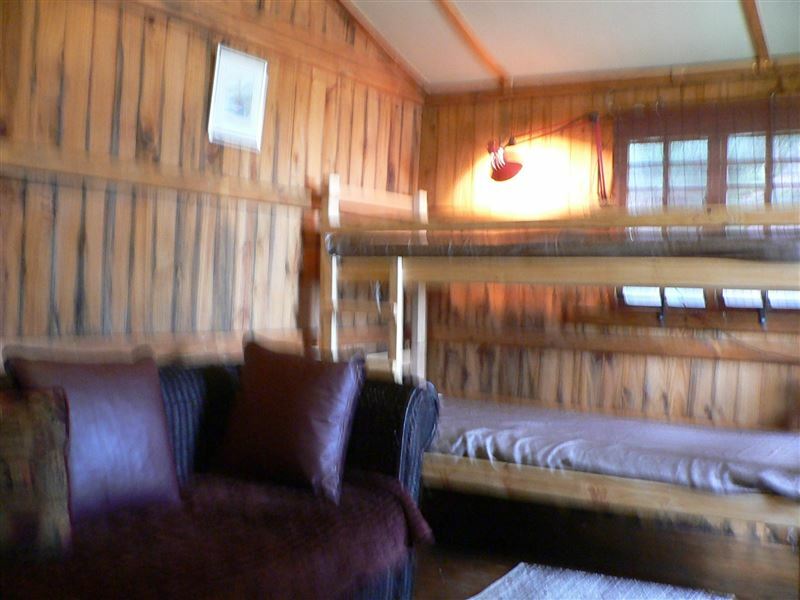 Cottages that sleep 2 people have a double bed, the others have bunk beds and other furniture. 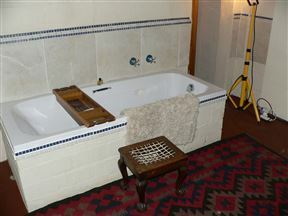 The cottages share two separate ablutions each fitted with a toilet, shower and basin – please note that depending on the cottage booked the distance varies to the nearest ablution but it is never more than 60m away. 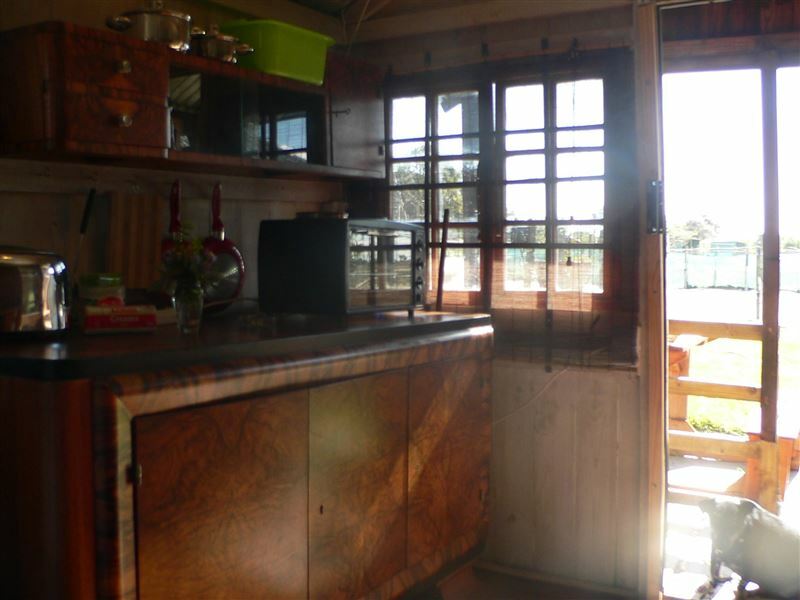 Each cottage has self-catering equipment: kettle, toaster, hotplates, microwave and small fridge - crockery, cutlery and cooking utensils are also provided. The names of these cottages are: Club, Gate, Dam, Jane, Downtown, Gibson, Colin & Johan. •	Mews Apartment (1 unit) is the most luxurious with 2 bedrooms (each with a double brass bed) and en-suite bath, shower and toilet, a kitchen and a TV lounge with DStv (premium bouquet). It also has a small veranda. There is a sleeper couch in the TV lounge that can accommodate a fifth person. 1. All cottages and units have their own braai facility – guests should bring their own braai tools and grids. 2. 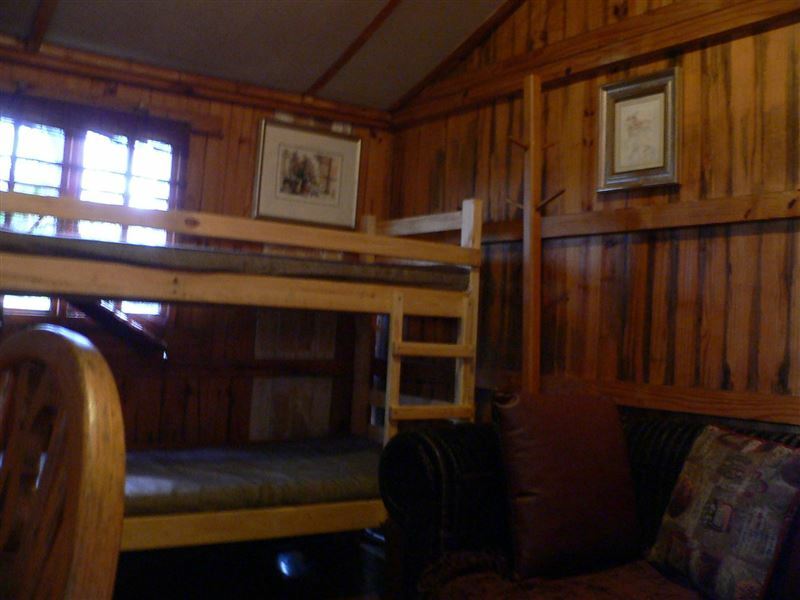 Cabins are serviced daily (except Sundays and public holidays). 3. Cheval Vapeur does not have credit card facilities and any outstanding amounts are payable in cash on arrival. 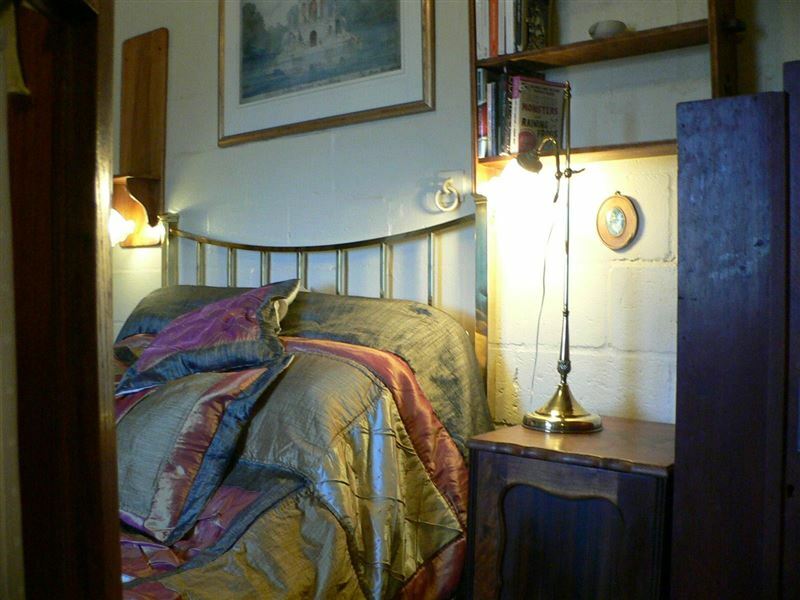 The cottage sleeps four or 5 people Provided: Microwave Mini oven Kettle, Toaster, Fry Pans, Pots, Mugs, Plates, Bowls, Cutlery Salt & Pepper, Coffee & Tea Toilet paper, soap Heater, table & chairs, mats, mirrors . 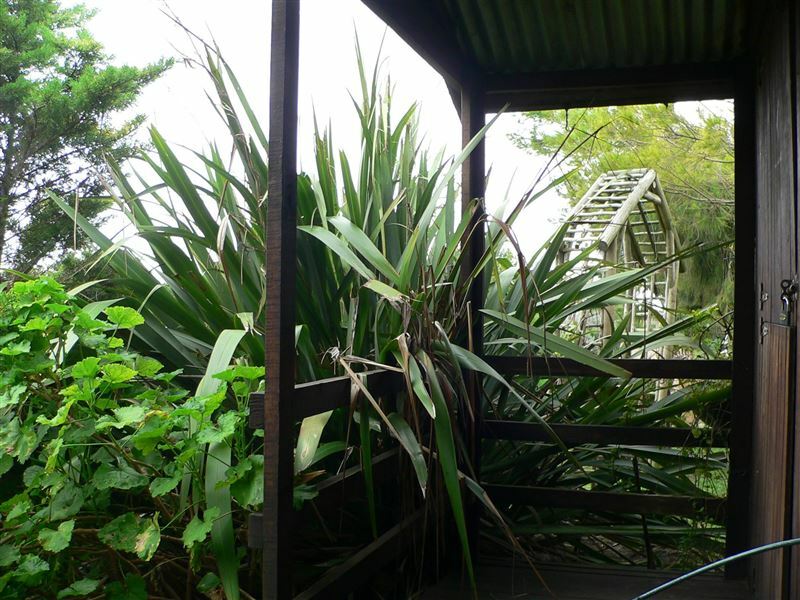 Private Self-Catering. For the cottages, our rates are R130 per person per night, 50% for children under 12(including linen). Provided: Microwave Mini oven Kettle, Toaster, Fry Pans, Pots, Mugs, Plates, Bowls, Cutlery Salt & Pepper, Coffee & Tea Toilet paper, soap Heater, table & chairs, mats, mirrors There are separate ablution facilities for the cottages, containing a toilet, a shower, a bidet and a hand-basin. Each guest has a key, for privacy purposes. There is a also separate visitors toilet. Self-catering means you cook for your self. Meals are not provided. 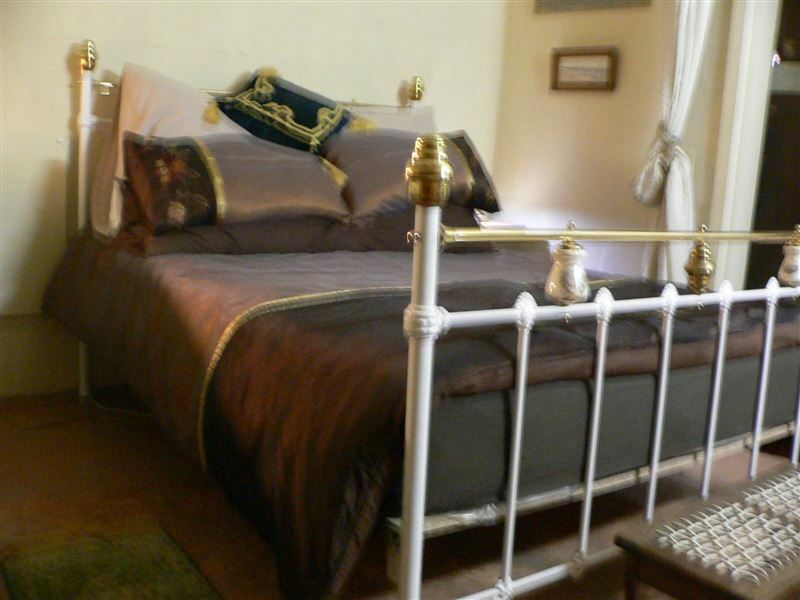 Mews Apartment has 2 brass double bedrooms and a single sleeper couch(price of R250 per person per night fully inclusive). The Apartment is more luxurious than the cottages: Brass double beds, DSTV, music system, private bathroom, toilet and shower etc. in addition to all equipment listed for cottages) R250x2adultsx6nights=R3000 Total=R8460 Regards, Colleen. CHEVAL ATTRACTIONSIn the heart of Cape Town’s seasonal wetlands, Cheval Vapeur Horse Farm, wonderfully tranquil oasis & nature haven for those who still need to be close to all Cape Town's attractions ie Table Mountain, Groot Constantia, Newlands Cricket & Rugby, great restaurants etc., and southern suburbs.Fully secured with private 24/7 armed response, surrounding electric fencing, night security guards, dogs and resident owners. Large double room. 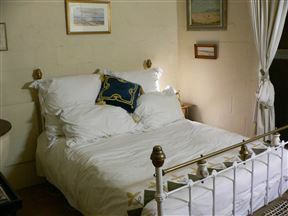 2 double bed(converted Tack-room) Provided: Microwave Mini oven Kettle, Toaster, Fry Pans, Pots, Mugs, Plates, Bowls, Cutlery Salt & Pepper, Coffee & Tea Toilet paper, soap Heater, table & chairs, mats, mirrors There are separate ablution facilities for the cottages, containing a toilet, a shower, a bidet and a hand-basin. Each guest has a key, for privacy purposes. There is a also separate visitors toilet. Self-catering means you cook for your self. Meals are not provided. Mews Apartment consists of Victorian brass double beds with quality linen and décor in two separate bedrooms. 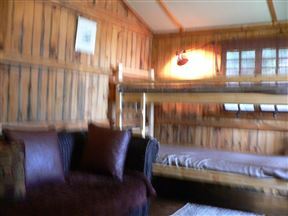 We also have a sleeper couch that can take fifth person. 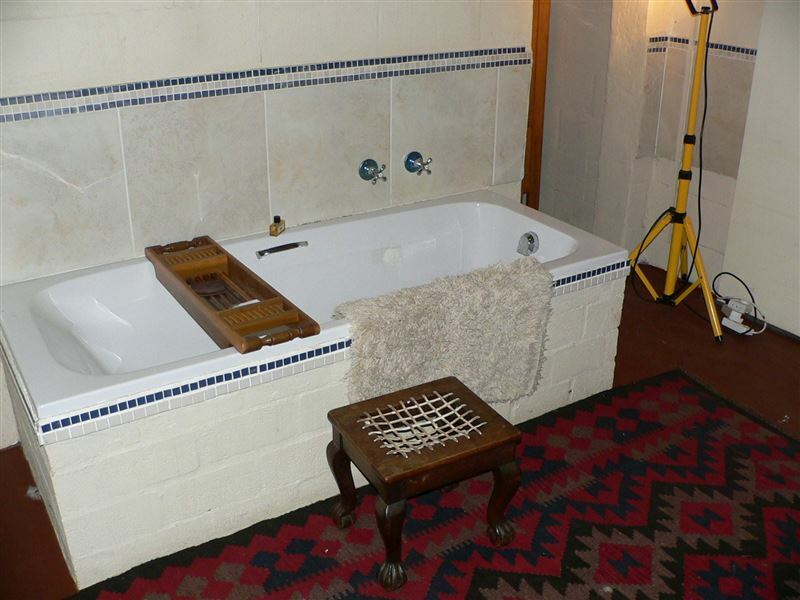 There is an en-suite bathroom with a toilet, shower and hand basin. There is a fully fitted kitchen for self-catering purposes, as well as DStv. The unit is fully secure.